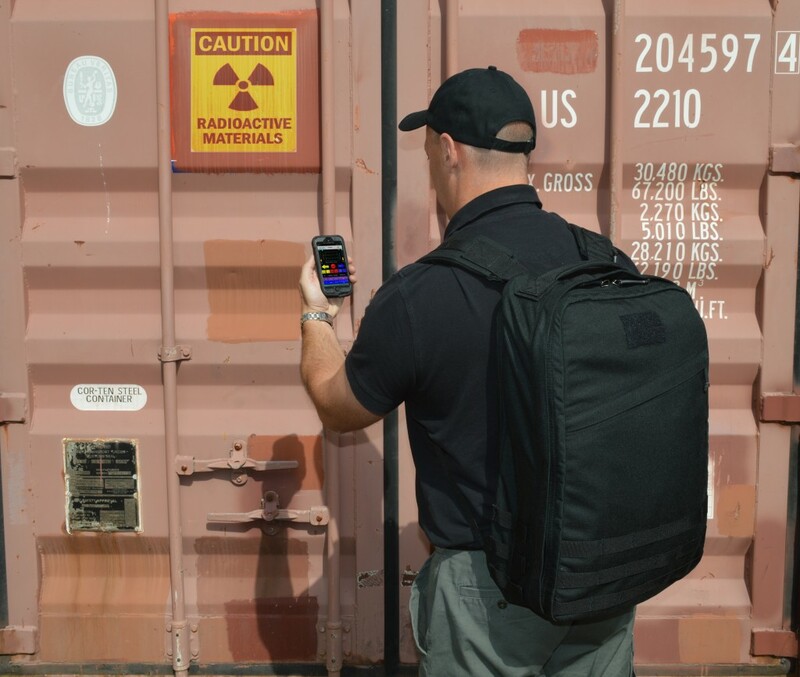 FlexSpec Backpack - Bubble Technology Industries Inc. The system provides rapid and reliable isotope identification and alarm categorization, using proven analysis software. It also features field-hardened, dynamic background compensation to automatically adjust for background variability in urban and rural environments. GPS-tagging provides the location of the alarm and the integrated Wi-Fi network enables secure, remote operation through an authorized Android smartphone or tablet. Rapid transmission of data to reachback centers is enabled using the available cellular connection on the Android smartphone. Gamma Sensors 2 NaI detectors (one per side). Each detector is 2" diameter x 4" long with energy resolution <8% at 662 keV, providing left vs. right directionality for localization of gamma sources. Geiger-Mueller tubes for operation at dose rates up to 500 R/h. Neutron Sensors Options for He-3 or non-He-3 neutron detectors, with integrated moderators. 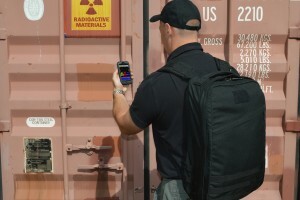 Software FlexSpec Backpack software runs on Android smartphones or tablets, with an intuitive user interface ideally suited for the Preventive Radiological/Nuclear Detection mission. Provides dose rate and user-selectable displays of radiation counts, spectra, or waterfall plots. 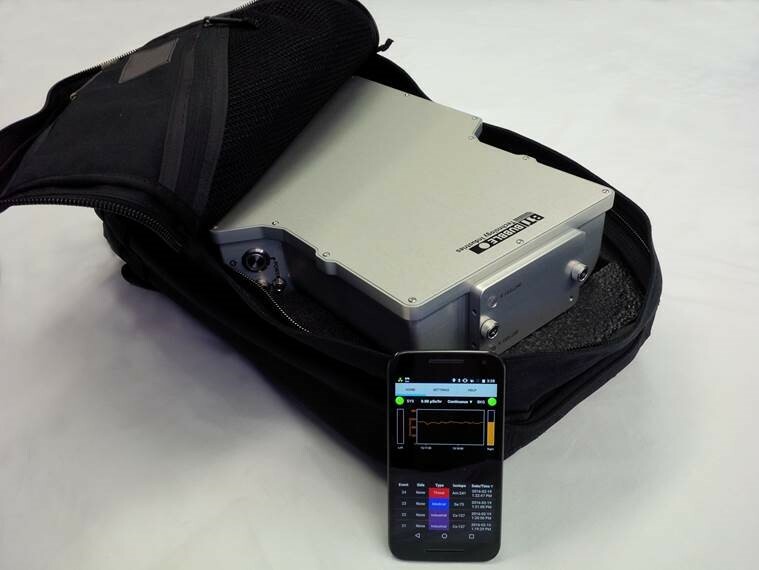 System delivers high-performance, proven isotope identification and alarm categorization (threat, suspect, industrial, medical, NORM) with directional indicators. Customizable isotope library contains over 40 isotopes, including all isotopes listed in ANSI N42.53. FlexLink software enables detection units to be wirelessly linked to operate as a single system. 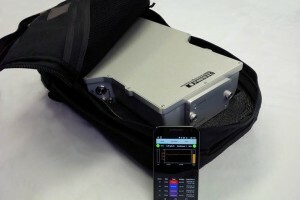 Connectivity Detection unit connects by secure Wi-Fi (range >50 feet) to one or more Android or iOS smartphones or tablets. Bluetooth connection to an earpiece enables discreet audible alarms if desired. Reachback All data are GPS-tagged and time-stamped. Cellular connection allows data to be rapidly sent from the field to reachback centers. Data can also be transferred to a laptop over Wi-Fi or wired connection. FlexSpec Backpack software automatically populates key fields for US DHS Joint Analysis Center (JAC) reports, or other custom reachback reports. Data are provided in ANSI N42.42 (2012)-compliant format. Power Rechargeable, hot-swappable, Li-Ion battery packs with >12 h run-time. Temperature Operating -20°C to +50°C (-4°F to +122°F). Storage -40°C to +70°C (-40°F to +158°F).